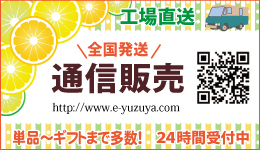 Yuzuya, our company is established in January 1978, and in February 1981, incorporated of enterprise up to now. The theme of Yuzuya is “From the sky of Hagi, From the earth of Hagi” and It costs a lot of time and expenses but we try best and keep it in mind to pursuit and put all our heart on producing the genuine natural flavor from local ingredients. 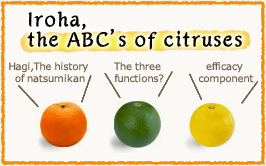 Raw materials are Daidai, Yuzu, Natsumikan and other citruses and so on, grown locally mainly. Part of the ingredients are from our own direct farm. Daidai or Yuzu are squeezed one by one which takes a lot of time and also we mature part of the juice more than 10 months in consistent temperature. 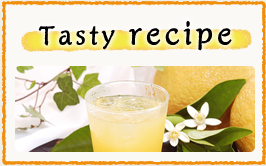 This process makes it mild and rich taste. Product plant like produce small amount style and all the products are totally additive free and handmade. You can watch someone work in the plant all the year round in the plant. 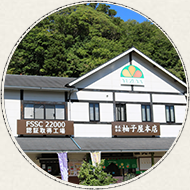 Continuously, we, all the Yuzuya staff members will try make effort working on producing good products to meet your expectation with this currency of health and natural high-intention. We hope you will continue to patronize our safe products with our sincerity.